Docent Dialogue: Docent to Docent, A Docent Double Feature! Continue reading "Docent Dialogue: Docent to Docent, A Docent Double Feature!" 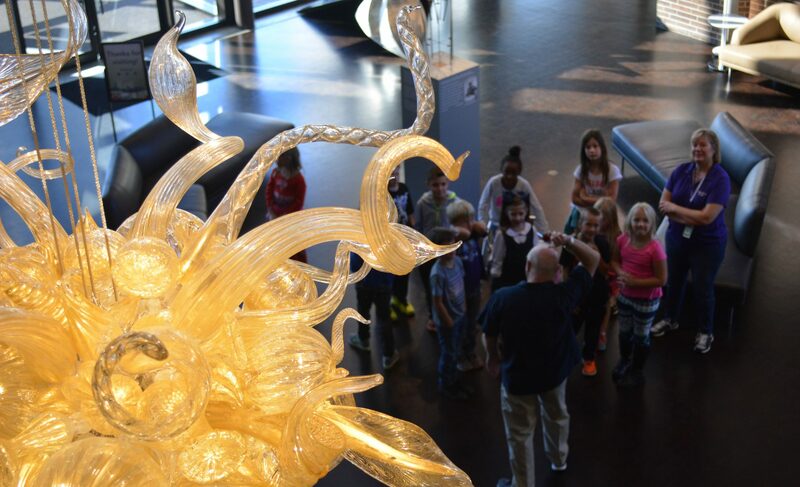 Learning doesn’t stop when you leave the classroom, whether it’s for a field trip at the art museum or long after graduation day, and the education department at FWMoA is no exception! Read on to find out how one of our docents learns more about art every day. With the start of the school year also comes the start of our docent training for the year. What better time to get to know another of our wonderful docents, Marlene Cooper! Marlene’s enthusiasm for and love of art is infectious. Read on, and watch a short interview, to see why FWMoA is her happy place and the children she gives tours to are her favorite people. Art Term Tuesday: What is Art? In this section of the blog we’ll be attempting to define different types of terms as they relate to art and creative expression. Our definitions will be rooted in what’s generally accepted among art world peers, but infused with our personal observations. And, in the art world, just as in the “real” world, terms have double meaning. “Value”, for example, a common term, refers to the lightness or darkness of a color, or it can express what the art itself is worth. For our first term, however, I hope to define “art,” a daunting task to be sure!